1. 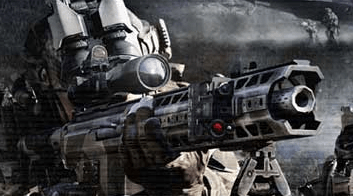 Weapon Modification System: Are you sick of same guns that everyone is using? Join Operation7 right now! You can modify your guns, many parts for all guns such as Dot Sights, Scopes, Kobs, Silencers, Gun Body, Barrels, and build up a unique gun for you! 2. Maps, based on the real places: Operation7 maps are based on real places all over the world. Have you ever been to Alkatraz Prison? No? then take a tour in Operation7, but be careful, someone might be camping to take you down. 3. Sound effects: have you ever thought "Am I shooting a gun? I'm shooting a toy gun..." while playing an FPS game? We do not recommend you to set the volume high while playing Operation 7. The Police might be standing at your door after five minutes of playing. 4. Character Customization: So many different uniforms and wears are waiting for you. Experience uber customization with your avatar! Do you want to be soldier? gangsta? or do you want to be look like grass so nobody notices you are aiming at them? Operation7 is the answer. Dynamical and realistic MMOFPS is knocking on the doors of NA! Operation 7 is a new exciting MMO FPS full of excitement and wicked moves. The closed beta starts soon and invites players to blow their enemies to bits!